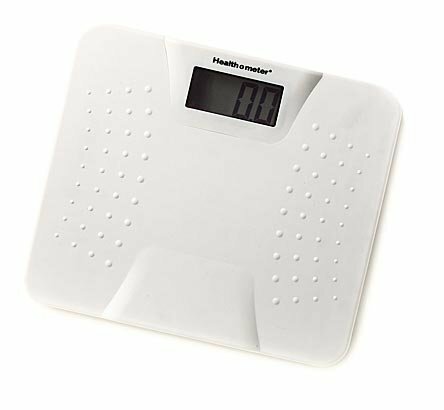 Health O' Meter Professional 800KL Digital Floor Scale by Health O' Meter at Muscle Pain Relief Rubs. MPN: 555552. Hurry! Limited time offer. Offer valid only while supplies last. Easy to read, super-bright display shows weight in kilograms and pounds. All-metal base has large, stable plastic platform that's easy to clean. Easy to read, super-bright display shows weight in kilograms and pounds. All-metal base has large, stable plastic platform that's easy to clean. One-year limited warranty. 397 lb (180kg) weight capacity. 0.2-lb. (1kg) increments. Requires one 3V battery. Platform size: 12-1/4"W x 12-1/4"D x 1-1/8"H.
If you have any questions about this product by Health O' Meter, contact us by completing and submitting the form below. If you are looking for a specif part number, please include it with your message.